This contemporary art piece also serves as a clock. It is made with high quality decorative metal and it's crafted ever so perfectly. 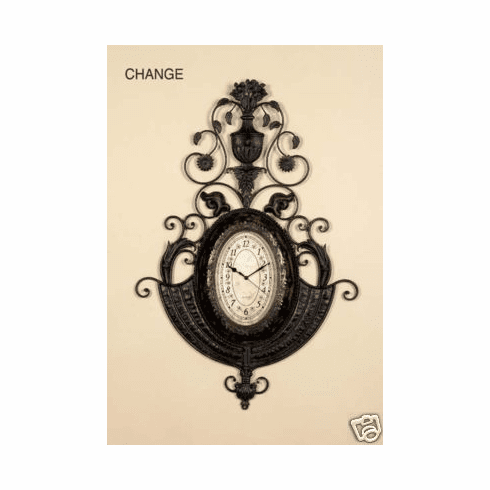 If this were hanging on your wall, you would always want to check the time. It also works very well with many different themes of decor. This decor is very large, measuring approximately 32x21".